Filipinos are hard working and always encounter body work from physical stresses of everyday life. Medicol Advance offers analgesic and antipyretic effects as a Non steroidal inflammatory drug. For a softgel cap Remember to always consult your physician before taking any drug. Please check the indications and contraindications before using the drug. DESCRIPTION: Red, transparent softgel capsule containing a red clear solution. 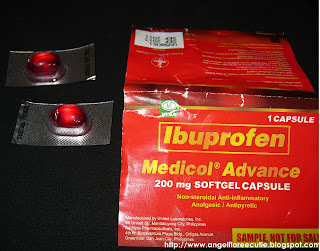 Patient’s with allergy to Ibuprofen, Aspirin or other NSAIDs. Patient who have undergone any heart surgery, heart attack, uncontrolled hypertension or congestive heart failure. Patient’s who have asthma, urticaria, or allergic-type reactions after taking aspirin or other NSAIDs. Reported severe anaphylactic reactions. Patient’s with bronchospasm, angioedema, or nasal polyps precipitated with NSAIDs. 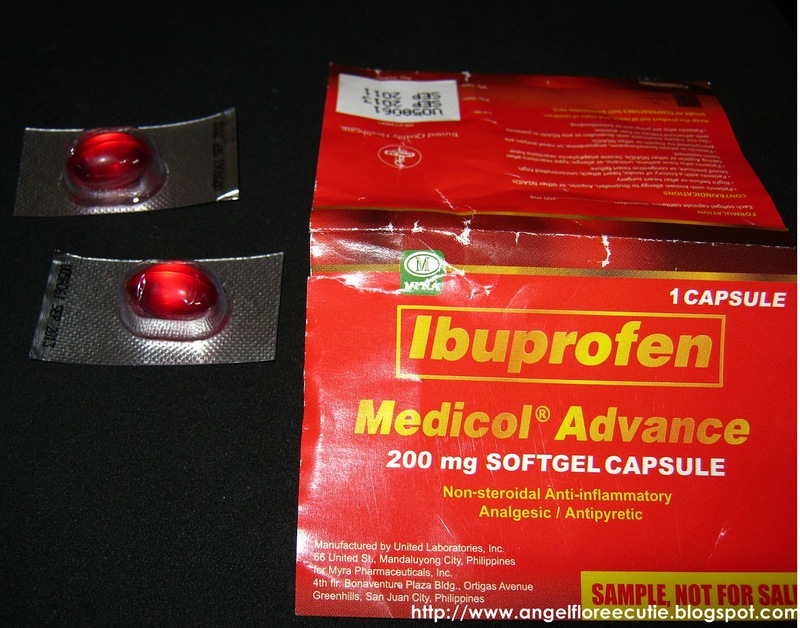 DO NOT INITIATE with Ibuprofen of any NSAID in patients with ADVANCED KIDNEY OR LIVER DISEASE. Allergy: Ibuprofen may cause a severe allergic reaction which may include: hives, shock, facial swelling, skin reddening, asthma and skin blisters. If allergic reaction occurs, stop use and seek medical help right away. Stomach Bleeding Warning: This product contains a nonsteriodal anti-inflammatory drug (NSAIDs) which may cause severe stomach bleeding. is it also good for tonsillitis?